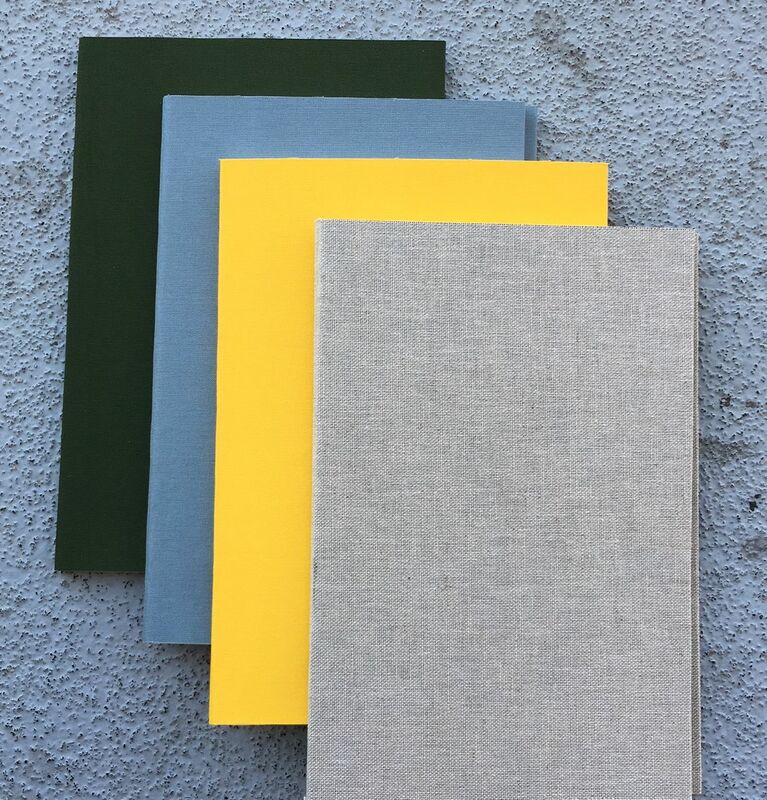 Here’s a sneak peak at a unique new line of notebooks we are starting to produce. Conceived and manufactured by the team at Design Bindery!! We have shown these now to a few of our key retailers and the response has been very positive! 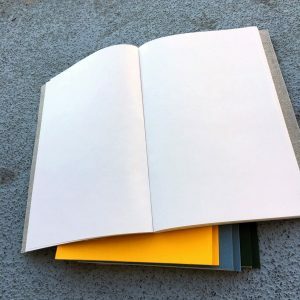 The Minimalist (TM) is an ideal notebook for conferences, class, seminars, or general meetings, backpacking, camping, hiking and more. They are flexible, lightweight and durable. 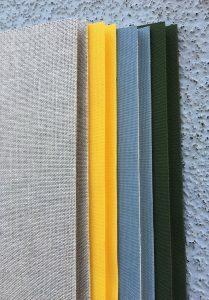 We will have a wide array of book cloth options or rugged Kraftex, for retailers to mix and match orders. The only branding on the inside back cover is stamped with “designbindery.com” in small 12 point blind embossed or foil stamped depending on choice of cover material. Through our yourbrand|ourbook program, we can create bulk orders with corporate branding, an excellent reinforcement to your own brand.